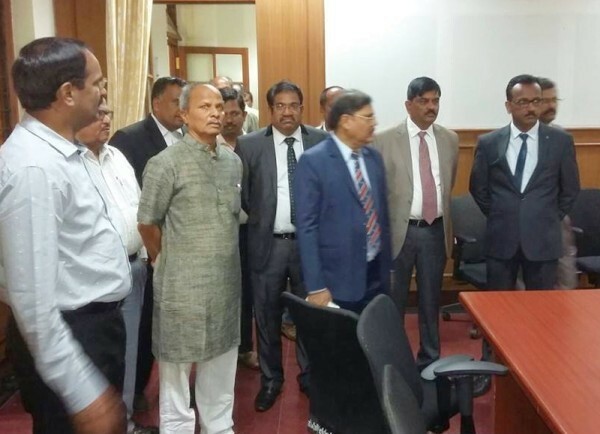 High Court Judge and KAT Chairman Justice K. Bhakthavatsala who was on a visit here said that bench of Karnataka Administrative Tribunal (KAT) is likely to be temporarily housed within the Suvarna Vidhana Soudha untill a different permanent structure is built. Justice Bhakthavatsala said now there should not be any further delay and the basement of the SVS. N Jayram said that the District administration building which will house the KAT within the DC compound. It may be recalled that the in June the state cabinet had approved the establishment of KAT bench at Belagavi. Please house it permanently in the Suvarna Soudha. At least the building shall be used. Otherwise, it has just become a tourist monument.